There is no pressure on the children to wear the latest fashion or for parents to buy expensive costumes. All they have to do to take part is wear odd socks to school with their uniform, it couldn’t be simpler! 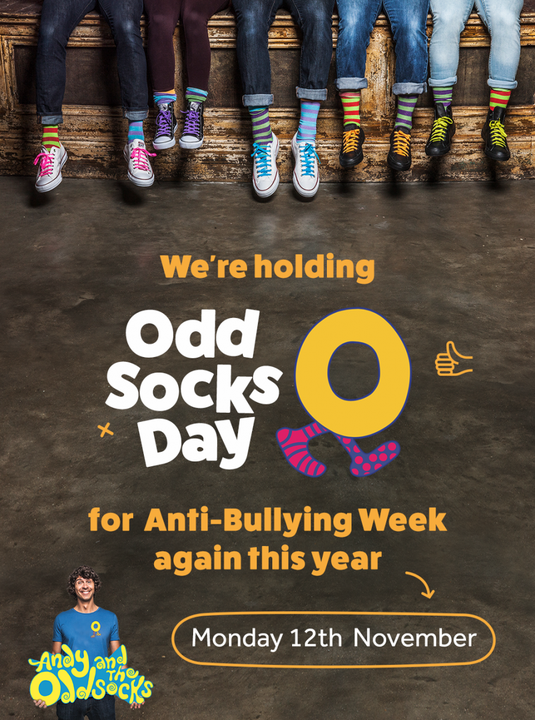 Odd Socks day will take place on the first day of Anti Bullying Week, Monday 12th November 2018 to help raise awareness around anti-bullying.